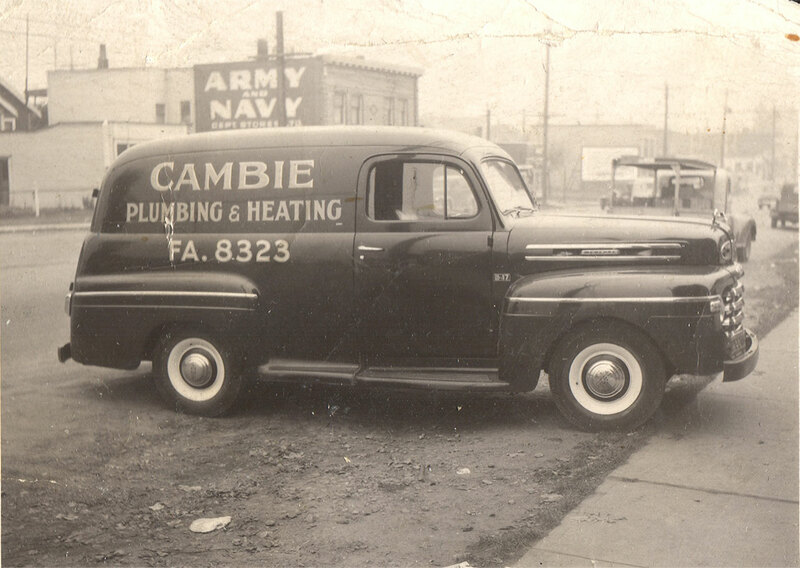 Cambie Plumbing & Heating Ltd. has been in operation since Jon D. Gibson opened the doors in 1946. 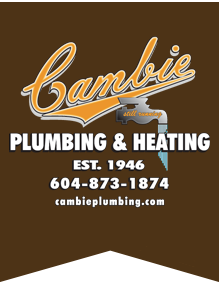 Cambie Plumbing was originally to be located on Cambie Street as its name implies, but a last minute opportunity to buy the property on Fraser Street changed its location before the grand opening. Since the ads and the business cards were already printed up, the name remained Cambie Plumbing & Heating Ltd. despite its location. Cambie Plumbing & Heating Ltd. boasted the first neon sign on Fraser Street and has since been recognized as one of the “Places That Matter” by the Vancouver Heritage Foundation and the people of the Lower Mainland. Cambie Plumbing & Heating Ltd. is now owned and operated by E.J. Gibson, Jon D. Gibson’s son, and continues to provide service worthy of its reputation to the entire Lower Mainland. Though the original building was destroyed by arson, the Jon D. Building now stands in its place, opening its doors in 1991 in the original location.